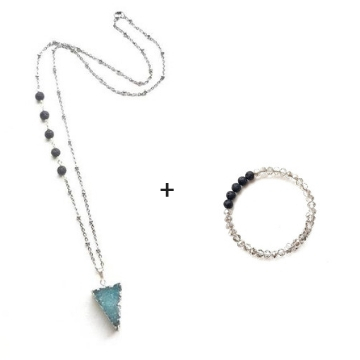 A stunning druzy necklace that is believed to help increases your focus like an arrow. 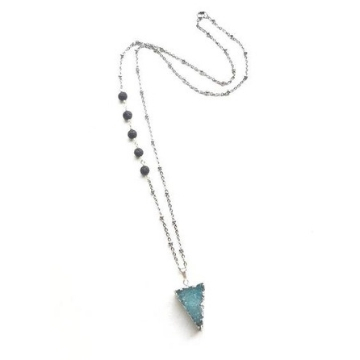 EP2 © Arrow Druzy pendant is approximately 1" long. 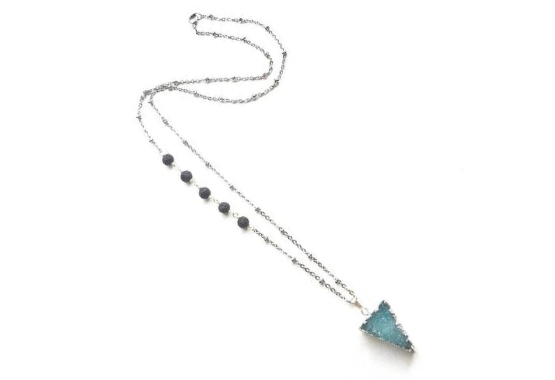 It comes with a gold plated or silver stainless steel chain of your choice. 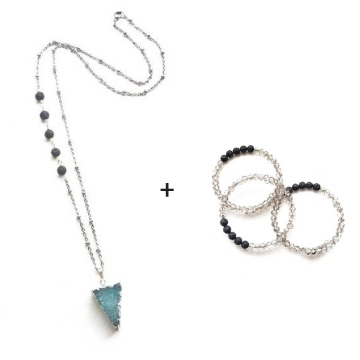 Features 5 tiny lava rock beads on the chain, which can be used as an essential oil diffuser. We offer full product refund coverage (except shipping charges) for products that are received in faulty/damaged condition. We also allow returns (unopened/originally sealed) within 7 days. Buyer is required to pay for his return shipping cost. For more information about our refund, please contact us.